Finally looks like the iPad will get some international flavor. Apple has just announcced the iPad’s international launch date and updated some of the pricing. Chances are that a lot of you don’t wanna pay an arm and a leg for a iPad on eBay, and I know a lot our overseas readers are starting to get a little iPad hungry. But the wait is almost over for some of you, Apple has just released a hot press release will all the international details you’ve waiting for. On Friday May 28th, Apple’s fast selling iPad, will be available in the following countries: Australia, Canada, France, Germany, Italy, Japan, Spain, Switzerland and the UK. 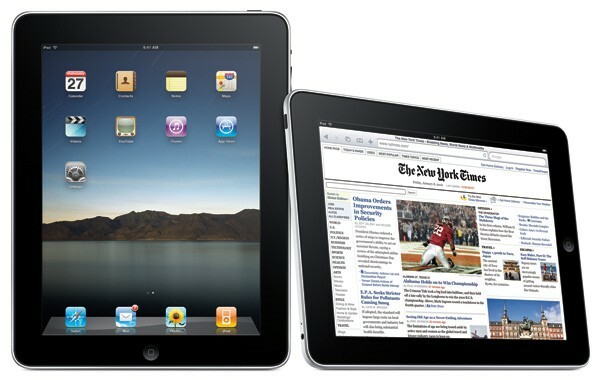 Customers in those countries can pre-order all iPad models from Apple’s online store on Monday, May 10. So you will be able to order the WiFi model or the 3G model on that date. What about other countries? Well Apple will add 9 more countries to the launch, begining in early July. There is no exact July date but the countries on that list are Austria, Belgium, Hong Kong, Ireland, Luxembourg, Mexico, Netherlands, New Zealand, and Singapore. It’s interesting because a new report this morning from Yahoo, shows that 10% of the iPad traffic already comes from outside the U.S. That’s a awful lot of iPad’s if you think about it. Obviously it hasn’t been released yet, so that means a big number of iPads are being resold overseas. Seems that pricing has been released on a individual country basis. So you should head over to your specific countries Apple Online Store to get the updated price. The only thing that caught my eye in the pricing, was that Canada has to pay an extra $50 on each model. The starting WiFi model is priced at $549, going all the way to almost $900 for the 64GB 3G iPad. Pricing for countries that have July release, will be updated at a later time.